Cecil Hue Isbell, age 70, of El Dorado Springs, Missouri, passed away October 1, 2014, in his home. He was born September 17, 1944, to Sherman and Lillian Isbell. Cecil is survived by the love of his life Paula Irene Isbell of the home. To this union three sons were born and who also survive: Cecil, Michael, and Brandon, all of Missouri. Other survivors include: two granddaughters of whom they raised, Michaela and Desirae; four sisters: Etta Vinson and family of Charleston, MO; Minnie Garrett and family of Bertram, MO; Helen Atcher of Mathews, MO; and Mary Isbell and family of El Dorado Springs, MO; one brother, Robert Isbell of Anniston, MO; a daughter from a previous relationship, Virgie Patrick Carter of East Prairie, MO; many grandchildren, great-grandchildren, nieces nephews, great-nieces and great-nephews. Preceding Cecil in death were his mother, Lillian Isbell; his father, Sherman Isbell; two brothers, Thomas Isbell and Sherman Isbell; one sister, Earlene; two infant siblings; and two nieces, Peggy and Lillian. 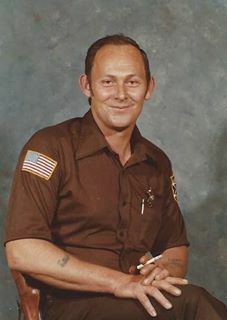 Cecil grew up in southeast Missouri and worked for a logging company, as a deputy, and retired from the city of Charleston. His favorite hobbies were hunting and fishing and spending time with his family. His great loves were his mother and his wife Paula. He also enjoyed country music and old southern hymns. Cecil lived a full life till the end, loved many and was loved by many. He was a strong man and taught everyone the important values of life. No one had a cross word to say about him. Cecil, your life may have seemed too short for so many of us that cared, but you made a great impact on all of us and you will never be forgotten. Fly home “Pops”. God is waiting for you! A memorial service for Cecil Isbell will be held on Saturday, October 11, 2014, at 12:00 p.m. at Bland-Hackleman Funeral Home in El Dorado Springs, MO, with the family in charge. Final disposition is inurnment. Arrangements are under the direction of Bland-Hackleman Funeral Home.